5 Things to Know Before You Go! Making New Friends at the RiverTown Hoe Down! One of the things that most excites me about RiverTown is how easy it is to make new friends. Each month there is a full calendar of social activities that I started enjoying the day I signed my contract. Last night the community sponsored a Hoe Down with a live band, Chili Cook-Off, Corn Hole, and refreshments available for sale at the Cafe. The admission cost was only $5/person and the chili was free to sample with the winners taking home gift cards. I enjoyed a glass of Sangria and a variety of beers and wines were also available as was the regular Cafe menu. I had a great time visiting with friends I had already made through the ballroom dancing classes and can’t wait to actually live in this awesome community.—Next time I’ll be able to walk home! My Little House is Vertical!! I got a call the other day from my builder, Brian, who called with an update for me saying my framing was now complete—I of course rushed on over to RiverTown to find this little wooden house that has risen from my slab in only two weeks! Wow! According to Brian, the trades, including electrical, plumbing and HVAC will be coming in next to get all the behind the walls work done. Then Brian and I will do a framing walk-through meeting and another inspection will take place before the drywall is installed to close everything else. Very exciting progress! My Slab Has Been Poured! We weren’t sure exactly when the slab would be poured, but I lucked out and caught the cement truck in action! So cool! I told the guys to make sure mine is perfect! Obviously I need a lesson on shooting video! Sorry for chopping off your head, Brian! Communication is key during the construction process and Brian let me know that because he currently has about 20 homes under construction in RiverTown alone and hundreds of emails a week, it will sometimes take him a week or so to respond to an email. We agreed that if an email was urgent, we would send a quick text alert so that communication would not be delayed. This preliminary meeting is typically done right after they receive the building permit. My official construction start date was October 15, but they are actually a little ahead of schedule. However, Brian warned me that there would naturally be unavoidable delays due to weather, (and hunting season? ), so not to get hung up on any specific closing date. Understood! Our next formal meeting won’t be until my orientation once we are nearing completion. Then will will do a preliminary walk-through when a punch list will be produced, followed by a final walk-through the day of closing. Ready for my Plumbing Inspection! My builder, Brian, called to make an appointment for our “Meet the Builder” meeting which we scheduled for next Monday. He mentioned that they were going to be pouring my slab next week so I of course had to swing by and check on the progress. Sure enough, all of the plumbing is in place, soil has been covered with heavy viscuene and they are ready to pour the slab! Stopped by my lot today, and look what I discovered! The forms for my slab have been placed so I can actually walk to my future back porch and experience what my view will be. I will not be meeting with my builder until some time next week, so they are actually a little bit ahead of schedule. ..>.for now! During the off-season, The Cafe at the River Club is open Friday evening, all day Saturday, and Sunday afternoon and evening. Sunday afternoons, RiverTown residents are invited to enjoy the Jaguar Football games on the TVs, both inside the Cafe and Game Room, and outside on the many outdoor TVs. I attended my first “Tailgate Party” a few weeks ago and shot this brief video to give my friends a flavor of the many fun events sponsored by the community. I’m so excited that my loan is approved and I am moving forward! I take every opportunity I can to visit the community and explore all of the various amenities available to me now that I have an approved contract! I shot this quick video tour of the Paw (Dog) Park, the Community Garden, the River House Amenity Center and the Amphitheater. I also took a quick swing by my lot to see if anything was happening yet, but knowing I would still be in the permitting stage for the first 2-3 months. Thank you St. John’s County!! This is part of the reason why Leslee warned me early on that it takes about 8 months from Contract to Close. Although this appeared to be a hick-up at first, as I started looking at my options, I discovered that one of my favorite lenders, SWBC Mortgage, is a back-up preferred lender for Mattamy Homes, and my inability to qualify with their in-house lender allows me to use another preferred lender of my choice and still qualify for my incentive. In my case, what looked like a bad outcome actually will save me some fees in the long run! SWBC will base my final approval on one year’s tax return, and since I won’t close until next Spring, it can be my 2018 return. Hallelujah! Now all I need to do is sell enough houses by the end of the year and limit my expenses to show the required income on this year’s tax return. Crisis averted—I’m Pre-Approved and able to move forward!! As I do for all of my clients, I had already done cost sheets analyzing my estimated closing costs and explored the various options available to me to actually obtain the home of my dreams. I also explored the financing options with my trusted in-house mortgage professional, Teresa Sox with Prosperity Mortgage. Teresa provided me with ideas and options with various interest rates, even though she knew it would not result in an actual deal for her. This is because the builder’s incentives are always tied to the use of their own in-house mortgage lender. Teresa’s willingness to help me and my clients, regardless of whether she might profit is one of the reasons I love working where I work. This step had me collecting information on all of my accounts and other assets and requesting a credit report. Because I had an investment property foreclosed back in 2010, I was very nervous about what it would say, but was thrilled that my credit, 8 years later, is completely repaired. FYI, if you’ve had a short sale or foreclosure over 7 years ago, it will no longer affect your credit. Having paid off all of my debts, including the loans on my car and my current home, I felt pretty good about what my debt/income ratio would be. My first choice is to keep my current home as a rental property, with the anticipated rent covering most of the mortgage payment on my new home. Then once I retire, I will most likely sell my current home and pay off the mortgage on my new home in order to simplify my finances. My goal is to eventually be able to keep my expenses low enough that when I retire I can cover my basic living expenses with my retirement income. If there is a problem qualifying for the loan, I know I can always sell my current home, which I own free and clear, and pay cash for the new house. However, I know from experience with other clients, the timing on selling a home prior to purchasing another one is always challenging. Because I had already made many of my selections at my preview, my official visit to the Design Center was pretty stress-free. I was already aware of how disappointing most of the standard selections are, especially the cabinets and the flooring, so I was prepared for the costs related to upgrading both of these features and already had them in my contract. My design specialist, Debbie, walked me through each selection, starting with cabinets and moving on through the minute details of hardware and lighting. In my case, I did not allow myself to be tempted by most of the available upgrades because my budget was so tight. I did allow myself a few extravagances such as the frameless shower stall upgrade and some accent tile, but for the most part, stayed pretty close to budget with only a $1,900 increase over my already written contract amount. And for the most part, I was able to include all of my wish-list that could not be changed or added at a later date. I escaped after only 2 hours (appointments can run as much as 4 hours), within $3,000 of my original budget. Moving From an Idea to a Contract! Pricing on a new build home is quite complicated, with several different layers to work your way through. 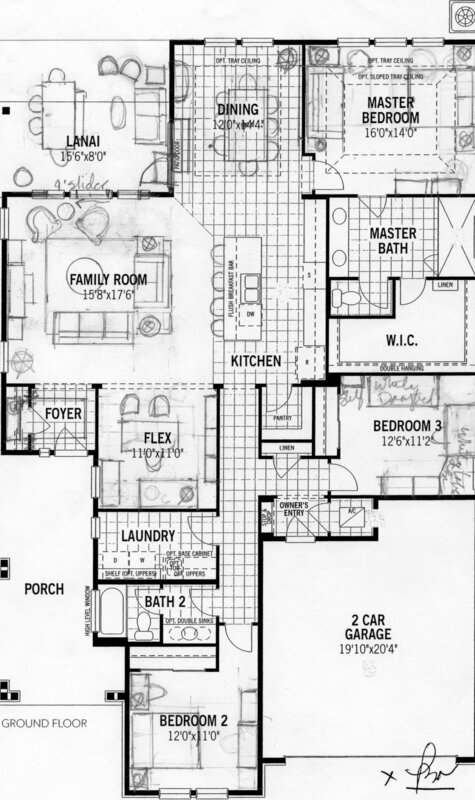 You start by choosing your floor plan, which has several different base prices, depending on the elevation you choose. At RiverTown, each floor plan has 5 different style elevations, (Craftsman, Coastal, Farmhouse, Low Country, and Territorial Ranch, from highest to lowest cost) with base prices that can vary by as much as $12,000. In order to stay within my budget, I had to compromise on the elevation, choosing the least expensive style in order to save the dollars I needed for upgrades. Then of course, there is the site selection, which can add $10,000 to $20,000 in lot premiums to your base price. I was lucky enough to get the last $0 premium lot in Homestead II, which saved me a minimum of $10,000 that I could spend on my upgrades. The other thing to be aware of is that included upgrades vary depending on lot size. For instance, within Homestead I, lots vary from 45 and 50 foot wide lots where the base selections of plastic laminate countertops and white or black appliances are standard, to 55’ wide lots in Homestead II, where granite countertops and stainless steel appliances are included in the base price. This is how I was able to afford a 500+ s.f. larger house for only a few thousand dollars more. My Site Agent, Leslee, walked me through the various Architectural Options and their costs—extended lanai, larger sliding glass doors, trey ceilings, and that sort of thing. The cost of these upgrades are added to the base contract amount by the site agent. Because I had taken the time to do a preview visit to the design center prior to sitting down to write my contract, I was able to include most of my additional design upgrade costs in my original contract. If you don’t do that, your base contract will be missing many of the heftiest costs and you should be prepared for your bottom line to increase significantly at the design center. Leslie and I refined the costs to come to a bottom line (or close to it, pending a final visit to the design center), and submitted my offer to her Sales Manager, who it seems works pretty much 24/7! About an hour later we received her response, I countered, and before I knew it I had an accepted offer. From there we went through the entire contract and disclosures (prepare yourself, the paperwork I’m sure killed several whole trees). 5 hours later I walked out with a lovely file bearing my contract and a head full of ideas. Additionally, Leslee went ahead and submitted my application for access cards to all of the amenities, which my family and I will be able to enjoy throughout the 8-month construction period. I was so excited, I signed up for ballroom dancing lessons at the RiverHouse Dance Studio the very next day! I selected the Homestead neighborhood due to the smaller floor plans, lots, and lower costs. Retirement is on the horizon and I knew the max I wanted to spend. I also loved the neighborhood’s proximity to the river and all of the amenities. Next I got the floor plans for the models I liked best and drew in my furnishings to scale. I wanted to make sure the house itself would meet my needs both for lifestyle and love of entertaining/hosting guests (one of the main reasons I wanted to make a move.) I can do the same for my buyers. Leslee prepared preliminary estimates for me so I could compare my 2 top choices. One Plan would provide a great step up from my current home but did not excite me. The other one, I fell in love with, but preliminary estimates put it out of the price range I had set for myself. I knew a visit to the design center would assuredly add thousands of dollars, and because a client had just experienced the shock of totally blowing her budget at another builder’s design center, I knew I could not make a decision until I had analyzed the actual costs of my must-have upgrades. These included upgraded flooring and upgraded cabinets as well as an extended lanai, the biggest ticket items. I encourage all of my buyers to do a preview visit to the design center before signing their contract if budget is a concern and I accompany them on their visit to offer insights from my own experience. When I went for my preview visit to the design center, I was shocked at how much all of the other little things I wanted would increase the cost of the house and blow my budget, so I made the decision to accept the standard selections on items that I could easily change out later as I had cash available. This included such as door hardware, plumbing and lighting fixtures, screening the porch, and custom painting. If there had been a large enough difference between my bottom choice and the model I loved, I probably would have gone with the less expensive option just to get into the neighborhood and avoid being stressed over finances. However, with Leslee’s help, I was able to negotiate a contract that included all of my must-haves and the home I loved within my budget. I highly advise anyone contemplating building a home to take the time and effort to know their bottom line before committing any dollars and signing a contract. I’m Building a New Home in RiverTown! Although my decision to build a new home probably seems to some like an impulsive move, the idea has really been sitting in the back of my mind for quite a while. I have been itching to move to a larger, more entertainment-friendly home for over a year, because of my love of entertaining and a desire for more space in which to do it. I currently live in a very limiting 1500 s.f. patio home with only a breakfast bar and a cramped eat-in kitchen (so cramped that once everyone is seated, if anyone wants more food, everyone has to stand up to let him out—sort of like sitting in a large booth!) My family won’t allow me to host family dinners because of the cramped interior, limited parking, and virtually no outside views. While the home works ok for little ol’ me, I have longed for a home in which I could entertain friends and family ever since I down-sized over 10 years ago-- So much so, each time I go out to show property, I find myself considering whether I would be happy in whatever communities and homes we visit. 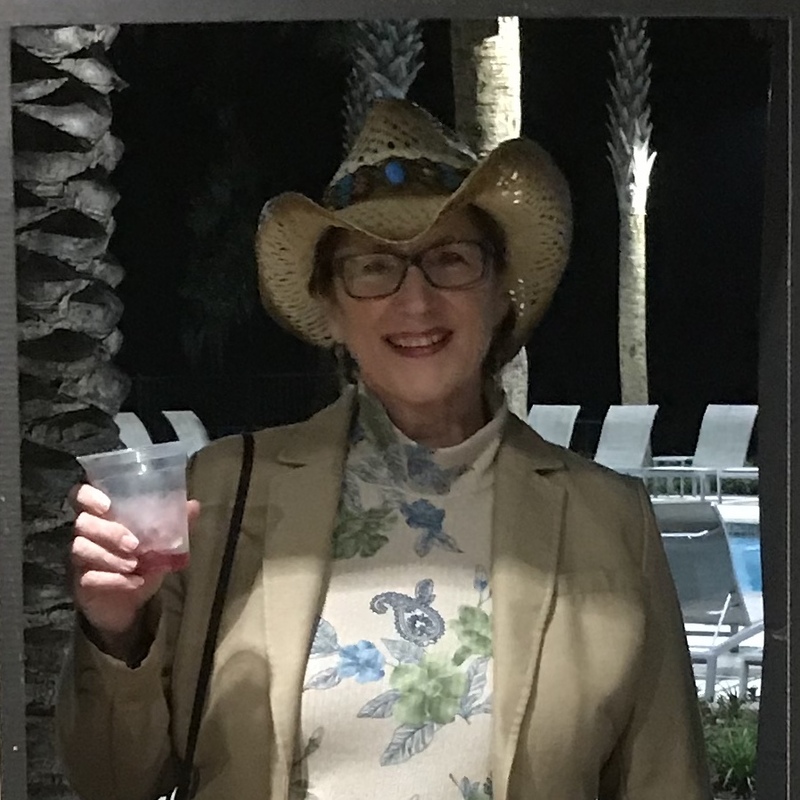 I have shown property to buyers and toured the RiverTown models and amenity center several times so was somewhat familiar with the neighborhood, but when I visited a Realtor Grand Opening of the newly opened River Club several months ago, I loved what I saw. Then I received a mailer inviting me to the grand opening of a new RiverTown neighborhood, Northlake, with homes starting in the low $220’s. That really caught my attention! You see, I am currently debt-free, and I did not want to increase my living expenses, keeping in mind my desire to work a little less and volunteer my time a little more as I “mature”. i would only consider a move if I knew I could pay off the mortgage before I retire within the next few years. So, with mailer in hand, I visited the RiverTown Sales Center, models and several homes under construction with my Mattamy site agent, Leslee a little back in July. My original plan was to explore the cost of the smallest floorplan in the Homestead neighborhood, which is walking distance to the new River Club. We toured all of the amenities, which I loved. Especially the River House which spurred all sorts of ideas for functions I could hold there. I called my son, Forrest and made him and his girlfriend tour the neighborhood, then called my daughter/life coach, Megan to discuss the best way to make the right decision for me. She encouraged me to determine what outcomes I hoped to achieve and analyze whether the move would do that. She also told me to look at all of the possible downsides and determine what the true risks would be and how I would respond to them. If I was comfortable with both, I should make a decision based on that analysis and not be influenced by others who have different needs and objectives. So I did, and I jumped into the RiverTown Experience!